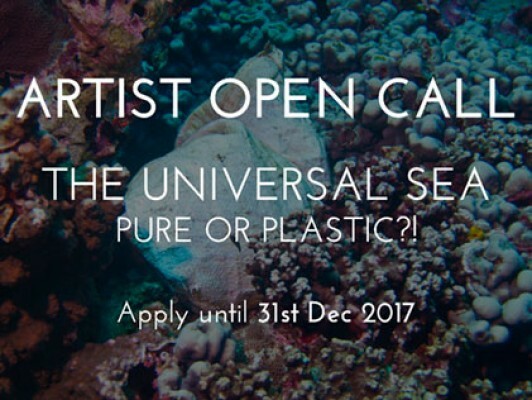 Creatives from all around the world get your work tools ready and set your imagination free: The Universal Sea’s Call for Artists is officially launched! „The Universal Sea: Pure or Plastic? !” is a European art and innovation project. The aim of our project is to strengthen creative civil participation now and for the future. It’s about creating urgency to take action! The project seeks to find new approaches by exploring the power of art questioning and rethinking existing systems through making thought processes visible and physically tangible. Based on Beuys’ social sculpture concept, we are looking for artists that are open to engaging with the public beyond their individual art creation. Be shown in an international exhibition in a museum in Oronsko, Poland. Show your final artwork at The Universal Sea Festival in Budapest, Hungary. Be published in the official The Universal Sea Book. And overall, contribute to a global cause with your work and show that art can be a catalyst for change. Your choice, your action!